On a recent Called to Coach: Singapore Edition, we spoke with Gallup-Certified Strengths Coach Tan Hee Guan. Hee Guan began his strengths journey about five years ago when he attended a strengths coaching course in Singapore. He said a big “ah-ha” moment for him came when he discovered that his commanding tendency wasn’t a character flaw, as he always believed. Rather, he learned that Command is a high talent for him, and when properly developed, would become one of his greatest strengths. As a teacher, Hee Guan naturally found his niche in coaching youth. One aspect he enjoys about coaching young people in particular is that they aren’t as concerned about their weaknesses as adults tend to be. He said the idea of “fixing your weaknesses” is less ingrained in youth than it is in adults, which allows them to embrace strengths-based development more quickly. Hee Guan also talked about how married couples interact with each other through strengths. He said that although his and his wife’s strengths makeup are entirely opposite, it’s very important to be aware of the differences so you can understand why your spouse is doing one thing or another. Awareness is key, and deliberately talking through your strengths together can make a big difference. To hear more about Hee Guan and his coaching experiences and expertise, watch the full video above. 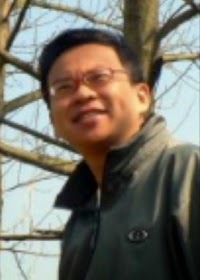 Hee Guan is the Director and Training Consultant at Kingmaker Consultancy. He started his career as a teacher under the PSC Teaching Scholarship, having been training leaders in the educational and non-profit sectors for the past 16 years. Hee Guan specializes in designing Cross-Cultural Experiential Learning courses for the purpose of Character Development and the Formation of High-Performance Teams. Hee Guan’s top five strengths: Command | Relator | Strategic | Activator | Futuristic.